Clarkston Homeowners come to Extreme Granite for all your granite countertop solutions. Granite countertops from Extreme Granite are the first and best start to interior home renovations in Clarkston MI and surrounding areas. 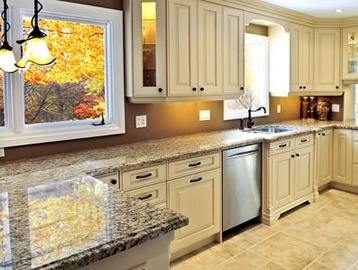 Granite Countertops Clarkston MI transforms outdated, tired looking and blah kitchens, bathrooms and fireplace surrounds into fabulous and vibrant spaces once more. The kitchen is the hub of the home; it’s where everyone congregates to eat, talk and even do homework. Make it wonderful and beautiful again with Extreme Granite. The bathroom is the place to retreat especially at the end of the day. Make your bathroom special and beautiful with new granite for the countertops, tub surround, and shower. It can happen when you allow us to supply, fabricate, and install it in your Clarkston home. We have many happy homeowners in Clarkston who have already chosen us to install new granite. You can be another happy and satisfied Clarkston customer when you contact us today for a free estimate, and begin the process of watching your home come alive again with beautiful precision cut granite from Extreme Granite. 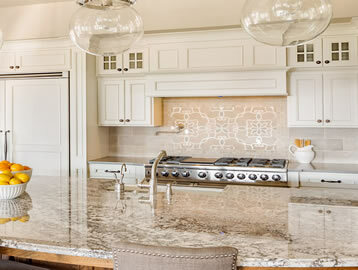 Our customers in beautiful Clarkston know that Extreme Granite has a reputation for being an industry leader in Southeast Michigan regarding stone products. It has the advantage of being bacteria-resistant which is an added bonus. Granite countertops are always a plus in a home, and granite from Extreme Granite comes from countries around the world such as India, Italy and Brazil to name just a few. You’ll take added pride that your new granite countertops are top quality stone products that your family can always enjoy. Contact us today and experience the most seamless and stress free remodeling project ever. We are Extreme Granite and we can do it all.